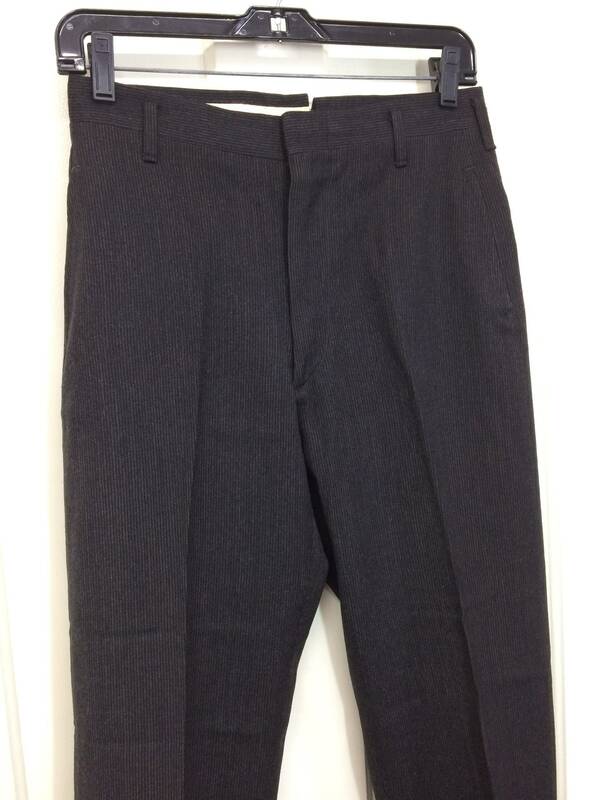 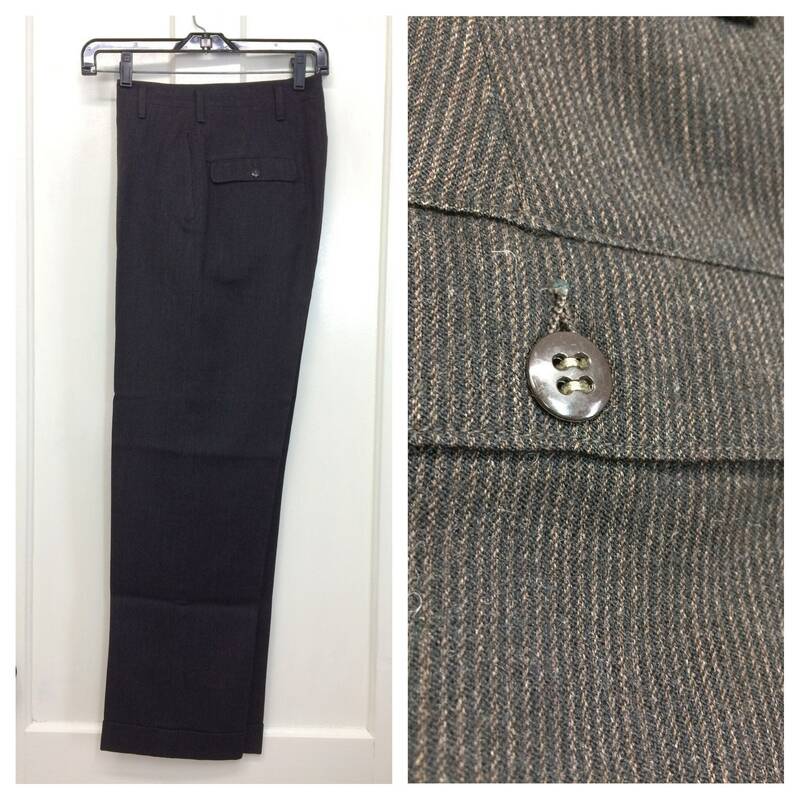 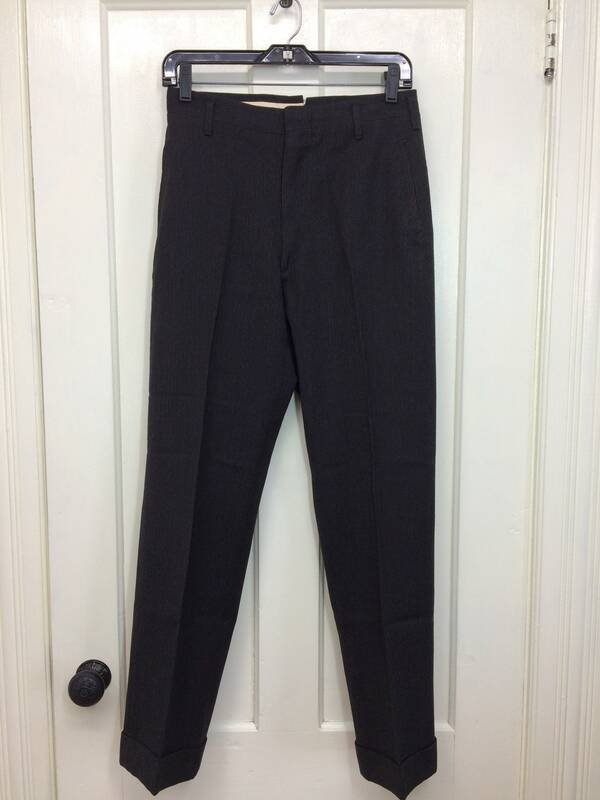 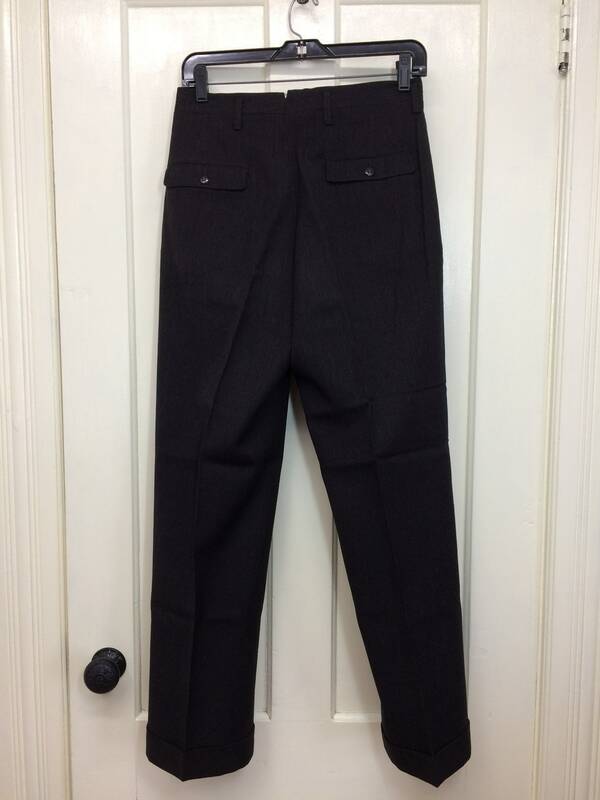 Here's a pair of soft wool pants from the 1940's. 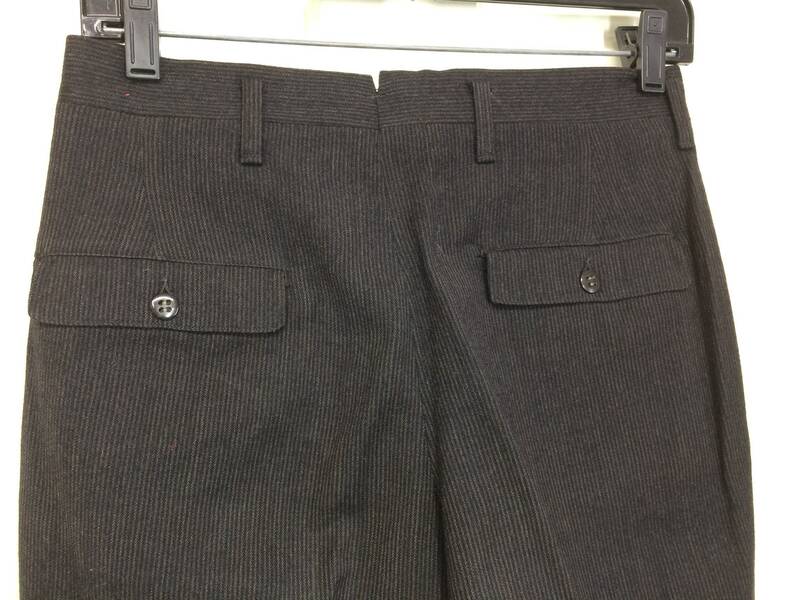 They have cuffs, 4 pockets, skinny belt loops and a Conmar zipper. 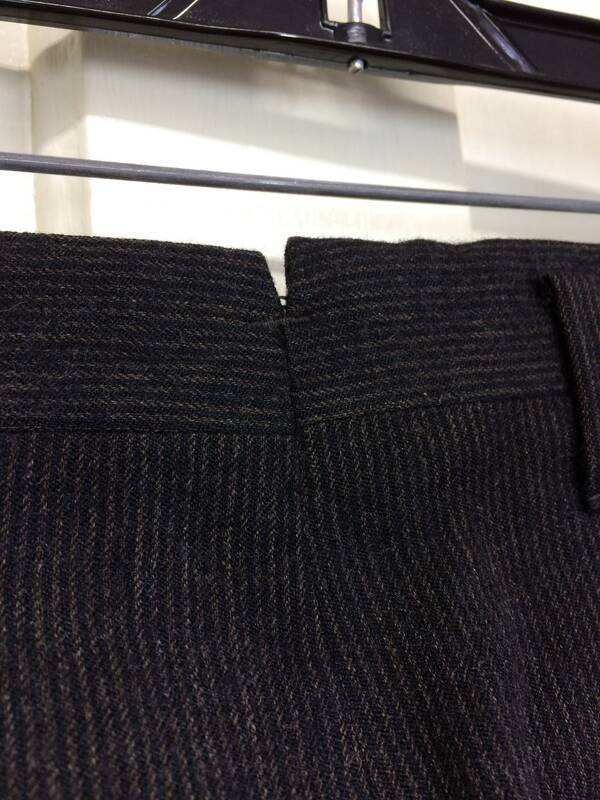 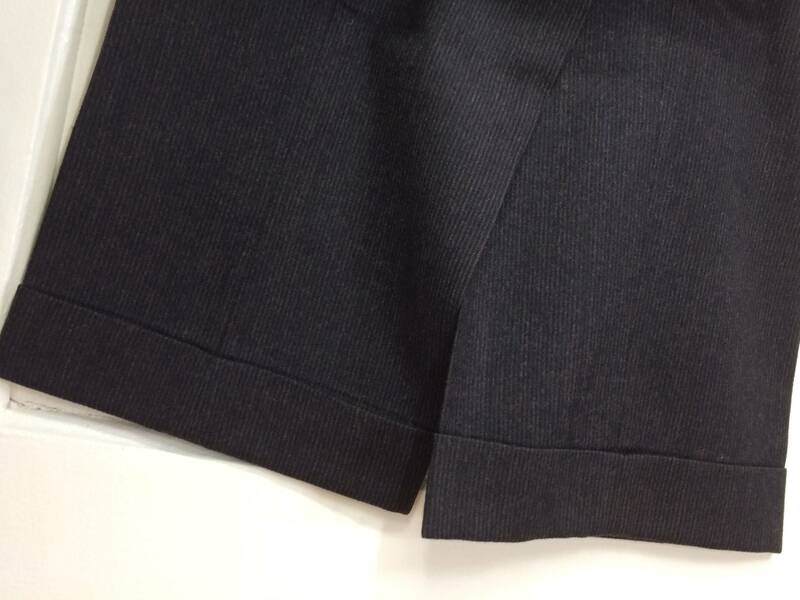 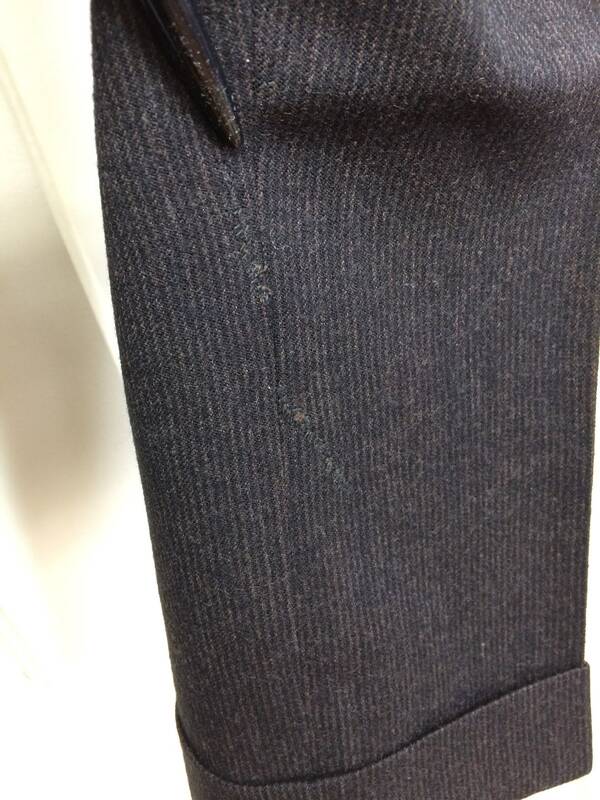 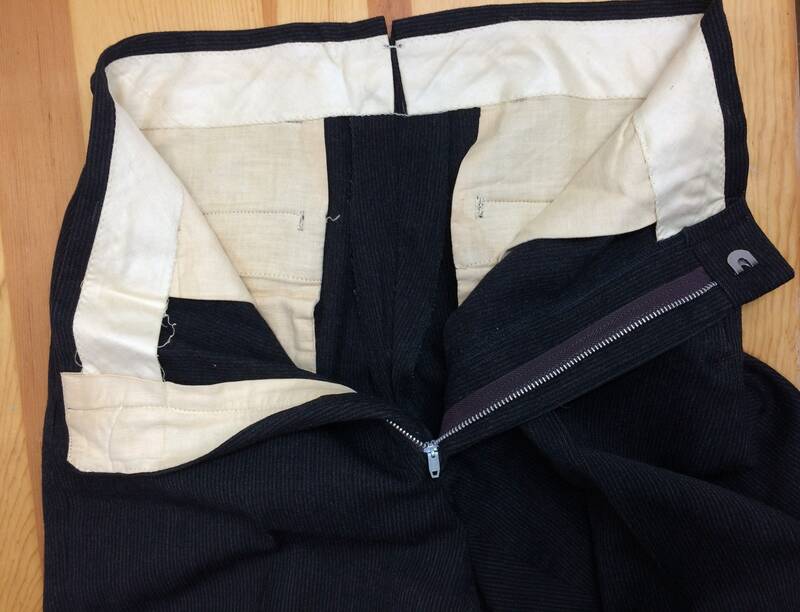 There's repairs on the left leg by the inseam toward the bottom, see photos. 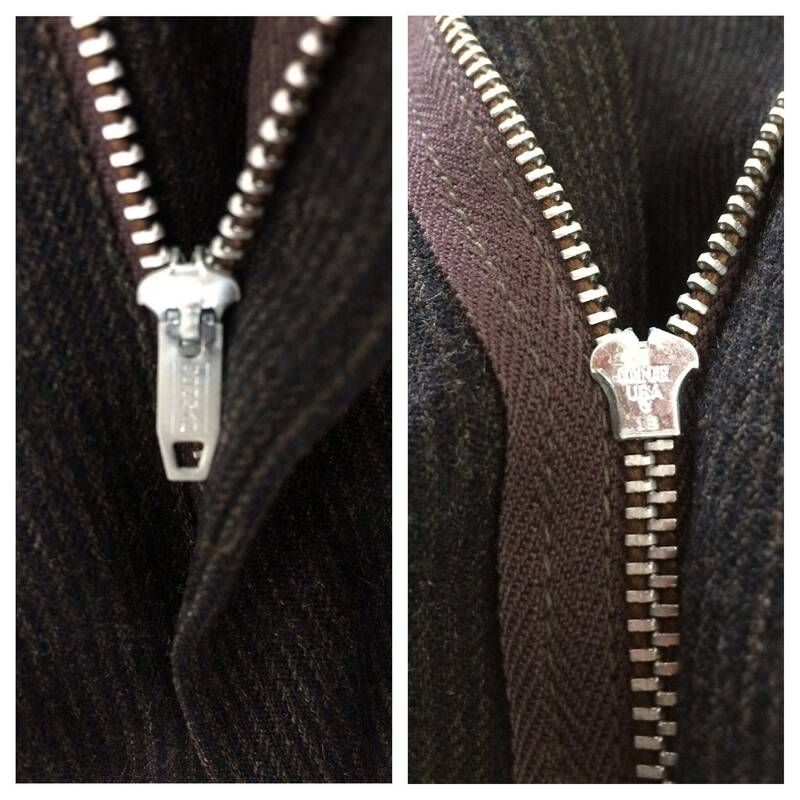 Otherwise, it's in excellent, gently used condition.